There has always been the rich, the in between, and the poor in society. During the 50s and 60s, the gaps between these classes were not as great as they are today. During times when there have been great extremes, violence has been the end result (think French Revolution and Russian Revolution). The question, however, is it wrong to be excessively rich when a majority of people are struggling simply to live? Here are the reasons why some find mega wealth acceptable as well as the reasons why others would find it unacceptable. Arguments Why Extreme Wealth is acceptable. The mega-rich worked hard for their money. Therefore they’re entitled to keep it. The mega-rich are smarter, more talented, and work harder. Therefore they’re entitled to more of the pie. The mega-rich took risks and are therefore entitled to a greater portion of the reward. The mega-rich are entitled to a greater return because capital is worth more than human labor. The mega-rich contribute more to society than those without wealth. Therefore they’re entitled to mega-wealth. Wealth does not take away from the poor. The idea that everybody can be wealthy is based on the fallacious statement that everybody can generate great income, and therefore if people don’t, they only have themselves to blame. They either didn’t want to, or they were too lazy to, or they weren’t smart enough to, or they didn’t make the correct choices, or they didn’t take advantage of the opportunities given to them. Was it Mitt Romney who said that children should take a million loan from their parents to start a business? Thomas Petty in “Capital in the 21st Century’ shows that most great wealth is inherited, generally as a result of property passed down through hundreds of years. Malcolm Gladwell in ‘Outliers’ showed that most people who didn’t inherit, nevertheless came from the upper middle classes and had access to the kind of education and resources that enabled them to make a lot of money later. For instance, Bill Gates went to a private school that had computers where he was taught coding from an early age. Plus he had parents who could afford to buy him computers. The ability to accrue wealth depends on some very specific factors. Without those factors present, wealth is not accrued. Therefore the idea that everybody has the same opportunity and resources to be wealth is not a plausible reason to justify the mega-wealth of some. 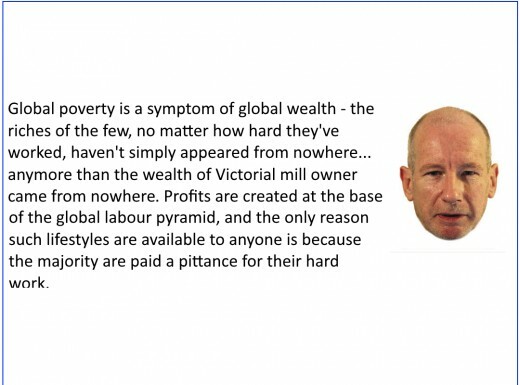 The point is that if it was hard work alone that entitled people to mega-wealth then most of the people on the planet would be entitled to mega-wealth. Quite clearly, hard work is not a justification for mega-wealth. 3. The Mega Rich are Smarter and More Talented. While it’s true that some rich people are smarter, more talented, and work harder than average, it’s also true that there are far more people who are equally smart, equally talented, and work just as hard, and they aren’t mega-rich. In fact, it can be argued (with a lot of evidence) that the people who made the discoveries, wrote the books, invented breakthrough products, played the music, and/or saved the world weren’t the ones to sit with the big bucks. It’s the people who market and sell these products to others who make the big bucks. One doesn’t have to be smarter, more talented or work harder than others in order to be a super salesman (that’s basically what Steve Jobs was). One just has to be willing to brainwash, indoctrinate, lie, and/or convince others that they have to buy the product. In no way does promoting a product in any way morally entitle someone to the greater share of the inventor’s product. Again, it’s just been an accepted strategy for so long that nobody has questioned it. It’s time to question it. Ironically, so did the labourer. In fact, it might be argued that workers take a far greater risk than those who invest capital. A young man goes to school and decides to learn how to write software. He works hard, devotes all his energy to learning his craft, goes to university, spends a fortune for four years, acquires the necessary degree, and then goes to work at a software company. Two years later, his skills become outdated and the company refuse to train him further as it is cheaper to hire new recruits coming out of university. Just who took the greater risk here? The employee or the employer? Employees take enormous risks no matter what they study as the world is changing so rapidly that their skills will be outdated within years. In fact, the entrepreneur is the one who does the least investing. All he is investing money. The labourer is investing years in order to learn expertise in particular fields. And, clearly, there is a lot of risk in that these days. So, no, the mega-rich are not permitted mega-wealth because they are taking a risk while workers aren’t taking any risk. This entire principle can be labelled a methodology of unequal exchange. I have a cow. You have two goats. Is one cow worth one goat or two goats? As the cow is twice the size of a goat and will produce twice the milk of a goat, it can be argued a fair exchange would be two goats for one cow. However, in an economic system where profit is to be made, the ‘entrepreneur’ would demand that he pay only one goat for the cow. This would mean that the goat owner would progressively become more rich while the cow owner would progressively become more poor. And that is the inherent problem with an economic system based on profit. In a system of equal and fair exchange, both labourer and investor would take their real worth. Says who? By what moral reasoning is money worth more than the time, energy, skill, and effort of workers? This is one of those ideas that were fed to the masses some two hundred and fifty years ago at the start of capitalism. It was necessary to do so in order to convince workers that they weren’t entitled to as much money as the ownership class were. The ownership class (aristocracy, etc.) were losing money as a result of democracy replacing monarchies and not being able to buy slaves, justify feudalism, and many other practices. While it’s true that some of those who are mega-wealthy do have foundations that contribute to various causes in some ways, it’s also true that many of those situations were caused by the super rich. For instance, let’s take Africa. Africa has continuously been plundered of its wealth by the ownership class. Workers on mines, in oil, on farms are paid a pittance resulting in their extreme poverty. As this poverty is a result of not being paid sufficient money to provide for themselves, it’s the wealthy who created the problem in the first place. The pittance that comes back in terms of ‘giving’ is only a small proportion of what should have been earned by the workers. In addition, had people being paid a decent wage, many people would work together to sort out the local issues as they would have the discretionary income to do so. The rich also claim that they provide jobs, and that if the jobs weren’t there, then the people would starve. On the contrary, the people can always grow vegetables while the rich wouldn’t be wealthy. The rich cannot be wealthy without labour, but labour can definitely labour independently of the wealthy. So, no, as much as some of the mega-rich supposedly give, they also caused the situations, and they, therefore, do not particularly contribute more to humanity than those without wealth. It can definitely be argued that the destruction of earth’s environment lies 100% at the doors of commerce. That’s hardly a contribution towards humanity. Do you believe that you should be paid more for your job? Obviously the rich do not understand arithmetic. Only a finite amount of money is printed. If most of that is sitting in rich coffers, it means that there is less for the poor. 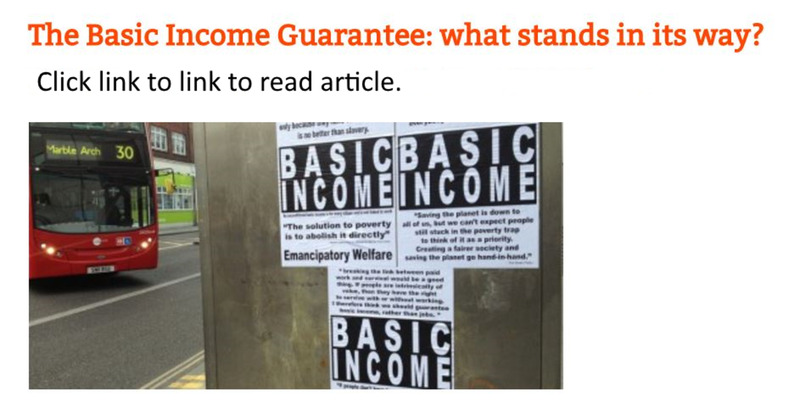 Of course, that is not what the rich mean. They mean that they are not stopping the poor from going out to become rich themselves. Everybody supposedly has equal opportunity (point number one). Abraham Lincoln once said that the measure of a man was the way he responded to extreme wealth and power because it was such a corrupting influence. With mega-wealth comes the ability to bribe. In the United States, lobbying is nothing more than legalized corruption. Recently, it came to light that the sugar industry bought off three scientists to say that sugar was the cause of heart disease (it was). The scientists therefore claimed that fat was (fat is necessary), therefore fuelling the rise in obesity, heart disease, and diabetes type II. When corruption is the outcome of mega-wealth, how can mega-wealth be considered ethical? 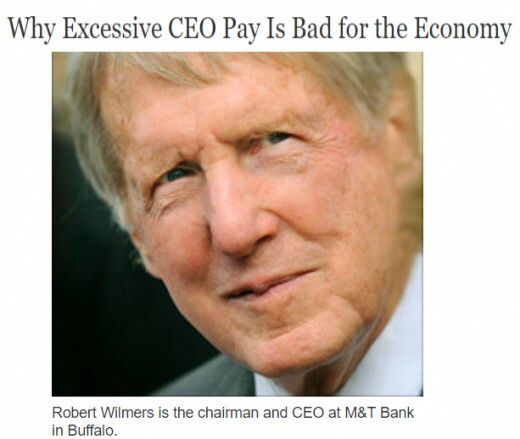 Do you believe your CEO is worth his paycheck? How is anything that leads to the extreme poverty of many and the pollution and destruction of many species and the planet ethical? 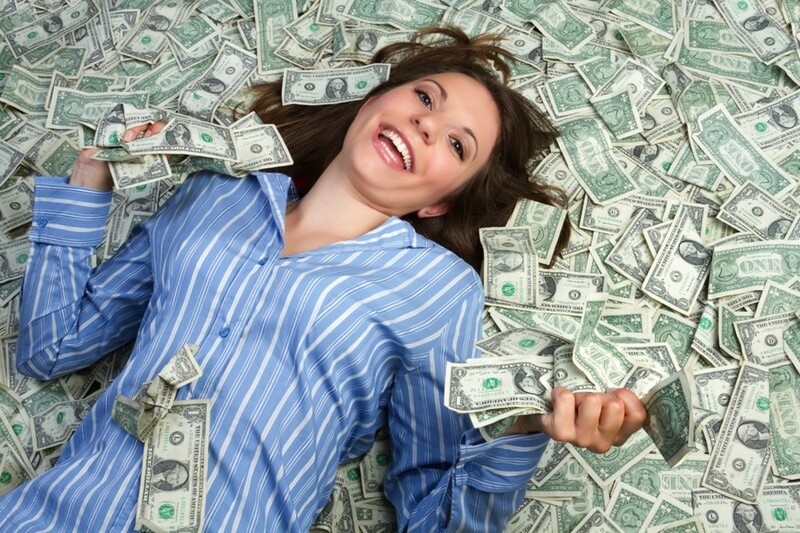 Why do some seek excessive wealth? And why are they willing to underpay staff, overprice goods, and destroy habitat, send various animals into extinction (elephants for tusks, sharks for their fins, etc.)? When a society are taught to look up to and admire those who are wealthy and powerful, there is a great motivation to become wealthy and powerful. Once that status has been attained, it is such a powerful opiate that it is virtually impossible to give it up. What happens instead is that people want more and more. Some might call it greed, but in reality, it is a drug to the ego. Until humanity stops its worship of wealth and power, this problem will not disappear. Billionaires make money at the expense of others, often ruining the earth in doing so. Their methods involve unequal exchange, wage slavery, underpaying inventors, creators, discovers, over pricing of products, destruction of the habitat, bribing government officials to pass laws that benefit them unfairly, avoiding tax, and more. Business creates poverty for the many and wealth for a few. By virtue of the fact that virtually all billionaires use the above unethical methods to attain their wealth, it can probably be argued it’s not possible to become a billionaire without using immoral methods. Ergo, being super rich is morally wrong. Great article, Tess, I was waiting for all the fire and brimstone from those that would take issue with your perspective here. I agree with the idea that there are truly no Self-made men. So, the idea that the super wealthy can operate without consideration to others, to include labor and the economic structure that allows them to keep their wealth when revolutionary fervor can insist that the cookie jar be toppled and the cookies be redistributed, is a red herring. The wealthy has inordinate influence in Goverment, using their influence to buy our representative to skew policies in their favor and against the issues of the masses of their constituency who they should be serving. They are forcing things in Washington so that it is less likely that anyone would be able to follow them into wealth. It is easier to beat the rabble over the head with Horatio Alger primers saying that they don't work hard enough. That is just as futile as the dogs running after the mechanical bunny at the race track. The incentive is dangled, but it is designed in such a way that you can never really attain to it. By destroying the influence of the middle class, the trend is to have the laboring class operate with fewer protections and prerogatives. Basically learning to take from their benefactors as a horse takes cubes of sugar from your hand. So, witness, Capitalism devolves into feudalism. 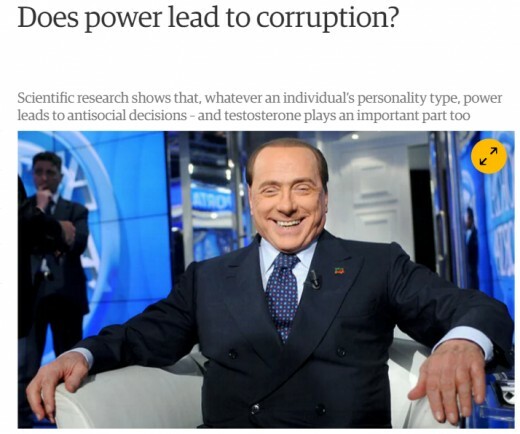 Absolute power does corrupt absolutely. We need to hear what you have written Tess. If we can absorb and do what you have written we can flip the switch and us together with our planet will scrape through okay. That is my feeling. It wasn't an easy piece to write. Took two days because I had to think of succinct ways to say some highly complex things. Plus it had to be simple enough for everybody to understand, and it had to cover all the objections that people will give you as to why it's okay to be super wealthy. It needed to be said. This is something I wanted to write but the words just wouldn't come to me. We have to wake up. And you did this. Thank you.